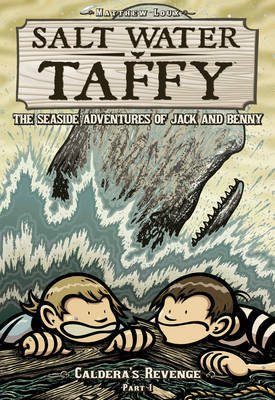 Salt Water Taffy: Calderas Revenge! : Salt Water Taffy: Calderas Revenge! Caldera's Revenge! The boys are having a hard time reading 'The Hidden History of Chowder Bay', given to them by Captain Hollister. So, when a spooky whaling ship appears in the bay, it's no time at all before the boys abandon the tome and find themselves in the middle of the action, searching for ... read full description below. 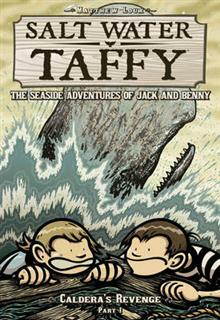 This title is part 1 of Jack and Benny's first multi-volume adventure! The boys are having a hard time reading 'The Hidden History of Chowder Bay', given to them by Captain Hollister. So, when a spooky whaling ship appears in the bay, it's no time at all before the boys abandon the tome and find themselves in the middle of the action, searching for the fiercest whale that ever lived: Caldera.